Yes, I went to Baselworld this year, and here's why I'll be returning. It was my first time at BASELWORLD and my first time in Switzerland; in fact, as I write this I'm sitting in my AirBnb in Neuchâtel. I'm exhausted, and I have been since I arrived. My travel was long, from Seattle to London/Heathrow then onto Zurich. Delays, train rides, car rides, waits and rendezvous' kept me awake for somewhere between 30 to 40 hours, but honestly, I lost all concept of time (not that I have on to start with). I had a preconception of the Swiss people being rather strict and stern, but when I arrived I was met by a very calm, kind and patient people (except when it comes to being on time). My first interaction was at customs, a sleep deprived and rather frustrated Nick finally made it to the customs officer after a painfully slow line, "What are you here for?" "I'm visiting Basel." "Ah, for the convention or work?" "Both, I'm a watchmaker." His eyes lit up and the routine questions stopped. He lifted up his wrist to show me his vintage watch, "What do you think of THIS?!" he proudly exclaimed. "It's nice.." I struggled to find things to say, I'm a little like the USS Enterprise after being attacked by a Borg Cube when I'm sleep deprived, all power routed to life support, engines on impulse. "It's a nice vintage watch!" I mustered, "IT'S OLDER THAN YOU, YOU KNOW!" The questions stopped and he went on to tell me how much fun I would have in Switzerland and how great the show would be. The next couple hours would be me comically navigating stations and trains with my oversized roller suitcase and the Swiss politely helping me and not being bothered by how in their way I was at all times, I would've received no shortage of swears and shoves had I been on the NYC subway. I eventually arrived in Therwil, a suburb outside of Basel, and met up with my friends and classmates with whom I was sharing an AirBnb. I said hi to the host and promptly passed out, tomorrow would be my first day at Baselworld. I got to Baselworld relatively easily, got my ticket and got right into the thick of it. Dazzling lights, shining booths are everywhere. The larger brands try to outdo each other with different displays and interactions, well, some of them. Others are kind of cold, leaving their new models behind glass for the general public to smash their faces against and stroke with their hands, leaving greasy, oily marks behind. The result? Very low photo diversity on social media, unless you're part of the exclusive few (generally distributors/jewelers/media) that get hands on. I thought this was kind of a bummer, as you couldn't actually get a feel for these new watches if you're general admission. Undeterred I met up with some classmates and friends (first timers) and my great uncle, who owns a jewelry store and is a Baselworld veteran. "BASELWORLD IS ABOUT THE MEETINGS"
Baselworld is a watch and jewelry convention. We're talking about big brands with tons of money. We're talking about expensive products that attract wealthy clients. If you aren't ready for this, it can be a bit of a lifestyle change or shocker, but there are two sides of the Baselworld coin, the consumer's experience and the companies who are there as an investment. Figuring out what you want to get out of it and how you'll fit in will help you get the most of it. As a brand, the ability to network and make connections is phenomenal, people you would never run into are all jam packed in a small area. Your fans and clients are there. Your idols and inspiration is there. Do you know that? Do they know that? How are you going to find them? I had a few scheduled meetings, and a bunch of last minute and impromptu meetings. I only participated for two days, my first day mostly exploration and figuring out what I could, my second day was meetings and meetings that turned into meetings. It was lots of running around, shaking hands, and introductions, but it was INCREDIBLE. Did I mention the people-watching? Swarovski's interactive demo was this sequin couch. Totally irresistable. After introducing myself as Orion and/or a watchmaker I was met with so much respect and camaraderie, I felt quite at home, it's a big difference from being in an isolated online world where negativity seems loudest, coming to a world where people admire and commend your hard work, where you meet kindred spirits and share stories of struggles and accomplishments, make plans for the future. I left each meeting feeling more confident and more empowered. Going to Baselworld to see the latest collection of diamonds and Pepsi bezels would be boring, in my opinion. Going to Baselworld to meet the people who make the gears turn, large and small, is the real gold. Breguet offered the chance to do some guilloche cuts on a dial blank. We had some great conversation with their watchmakers as well. Are you going for the watches? Don't want to have your nose pressed against some Rolex glass with a thousand other people? Tucked away in the back of the convention center are the "Ateliers". These are independent watchmakers and microbrands, often the owners and the watchmakers behind the brand are there and if you catch them at the right time, you can handle their watches and speak to the mind behind the brand. Additionally, next door, is the hotel Hyperion, which has a floor dedicated to more brands, with another lobby that is host to lots of meetings (hint, it's a good place to hang out). Was able to get some up close and hands time with a couple Akrivia watches, a brand I admire. A few years ago, almost all of the tool and parts suppliers pulled out of Baselword en masse. The event, more catered to the watch brands with their meetings and to general admission, were less and less of a place for companies that address the needs of the watchmaker. Which is a bummer, because those brands may even be more exciting to me than most of the watches. Since I only attended Baselworld two days, I travelled to Neuchâtel and from there, La Chaux-de-Fonds, where the nearby companies partaking in the show (such as Roxer, AF Switzerland, Horotec, Bergeon, and a few more) all have shuttles take folks to have meetings and tours at their respective facilities. This is more for the companies to make connections than for enthusiasts to ogle over the latest caseback opening tool (there are some cool ones). So on behalf of Orion I went and saw these brands and spoke to the people. The puzzle of my world of horology is so much more full after visiting Switzerland and partaking in both Baselworld and the Watchmaker's Technical Show. I feel confident and prepared, I'm rich with plans and new connections, I'm even more excited to step into the future. Bottom line for both brand owners and enthusiasts would be to engage and talk, otherwise Baselworld is just a glorified window shopping experience. For the enthusiast; Go to the Atelier section, engagement and a hands on experience is more likely there, though many big brands will have reps, artisans, or watchmakers that are ready and willing to share their knowledge and experience with you. For the brand; Be prepared! Plan meetings in advance. Have goals set before you step in. Don't be afraid to meet people on the fly or alter plans. It's a small world and industry, taking some time with one person, in my experience, almost always lead you to another valuable contact. 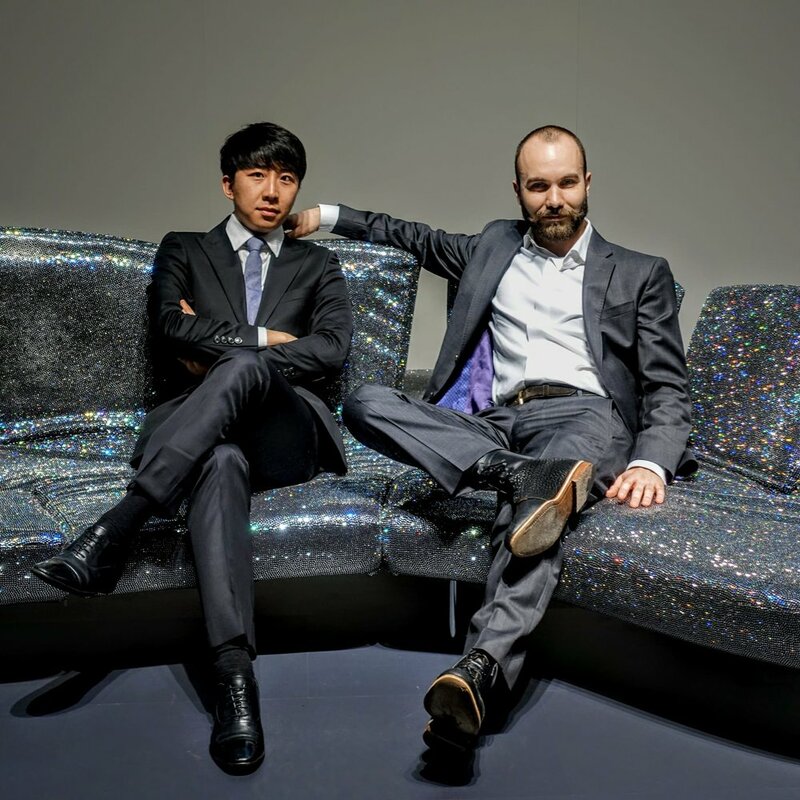 Though if the occasional Instagram celebrity or someone wearing a suit and watch 10X more expensive than yours makes you feel insecure, then you definitely won't enjoy the Swarovski Sparkle Bench. The schnitzel is great too.